How to use the ClassCraft platform to gamify your class materials. How to group students to encourage them to work together to meet class objectives. Research-based instructional strategies that work in the real classroom. Discipline plans that minimize disruptive and disrespectful student behaviors. How to involve parents in their student’s educational endeavors. Motivational strategies and motivational lesson plans that will work on disconnected students. This course is designed to help teachers gamify their class materials, encourage higher levels of student engagement, cooperation, and mastery of class objectives. The trend of gamification has caught on in classrooms across the globe as teachers discover effective ways to use game play to engage students. Educators are finding that levels of student motivation, cooperation, and engagement increase dramatically when students receive rewards in the game as a result of their efforts to learn concepts taught in class.CLASSCRAFT is a game platform built by a high school teacher who wanted to motivate students who were bored in his Science classes. The result is an engaging World of Warcraft-style game that keeps students excited about learning – even when the subject matter is less than exciting. Students can earn and use powers, earn points, and form teams to complete tasks related to the mastery of course concepts. 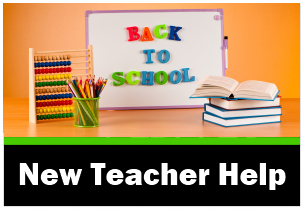 This online course is taught by Shannon Holden, founder of NewTeacherHelp.com and host of two popular webinar series on edWeb.net. Shannon Holden also teaches pre-service teachers at Missouri State University how to implement technology in their classes. Each year, thousands of teachers enter the profession thinking they are going to be the “cool” teacher that will energize students about learning. It does not take long or most of them to realize that many students are not motivated to learn at all. Energy, personality, and charisma can only take new teachers so far – they need a tool that will motivate the unmotivated. Research has shown that gamification of class materials results in higher levels of student engagement and achievement. 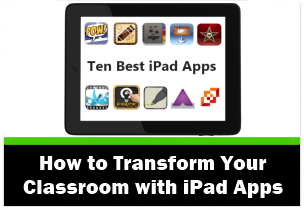 The barrier is that many teachers have no idea how to go about gamifying their class. I have discovered that teachers will NOT use technology unless it meets these four criteria: 1. It has to be inexpensive (FREE is BEST). 2. It has to be EASY to implement. 3. 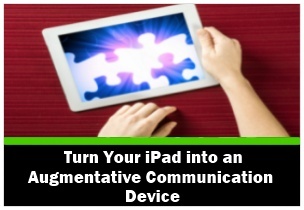 It has to save a teacher time, effort, or work. 4. It has to result in an increase in student learning or engagement (BOTH is BEST). 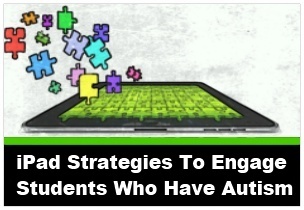 In my roles as a public school teacher, school administrator, educational consultant, website builder, and webinar presenter for the past 25 years – I have been exposed to hundreds of educational technology platforms. ClassCraft has distinguished itself with its ease of use, functionality, popularity with students, and parent participation capabilities. Grouping students to encourage them to work together to meet class objectives. 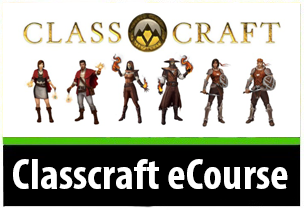 Teachers will learn how to access the free CLASSCRAFT platform, and set up an account. Teachers will learn how to sign students up for the CLASSCRAFT platform. Teachers will learn how to set up multiple classes in the CLASSCRAFT platform. Teachers will learn how to place students in groups, and assist students in the selection of their characters. Teachers will learn how to upload class materials into the CLASSCRAFT platform. Teachers will learn how to give students and groups of students rewards for completing assignments satisfactorily and on time. Teachers will view testimonials from students in several different grade levels, socio-economic strata, and countries who love CLASSCRAFT or a variety of reasons. Teachers will hear from actual students how CLASSCRAFT can be motivational to a wide variety of students. Teachers will learn how to assist students in their education of how the game works, and how it integrates with the class materials. Teachers will learn how to assist students in earning powers, and using the powers they have to gain an advantage in the game. Teachers will learn how to explain game play to students. Teachers will learn the research base that supports frequent formative assessment of students. Teachers will learn how the CLASSCRAFT platform makes it possible for formative assessment at any time during class. Teachers will examine the fine line between novelty and routine as it relates to student motivation and achievement. Teachers will learn how CLASSCRAFT provides both novelty and routine through the use of The Wheel of Destiny and Random Events. Teachers will learn how to upload classroom materials into the CLASSCRAFT platform. Teachers will learn how to make learning possible for students 24 hours a day, seven days a week. Teachers will learn how to provide students and groups with rewards for various levels of interaction with class materials. Teachers will utilize the features in CLASSCRAFT that enable integration with Google Classroom. Teachers will learn how the gradebook features enable the teacher to provide rewards for students in CLASSCRAFT for “on-time” assignments as well as good grades. Teachers will discover ways to communicate with students and parents using the CLASSCRAFT platform’s group messaging feature and individual messaging feature. Teachers will enable parents to reward their students for their efforts at home through the use of Gold Pieces in CLASSCRAFT.